These Cranberry and Cashew Crisps are sure to be a crowd favourite! A classic flavour of sweet dried cranberries and hearty cashews make these a perfect compliment to soft‑ ripened cheese, soup or salad. 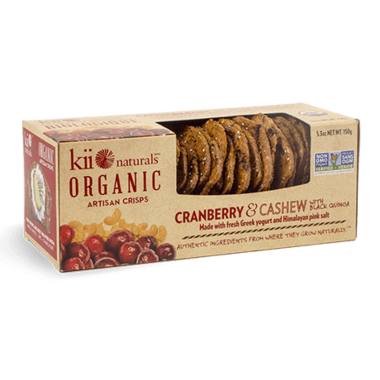 Ingredients: *Flour (*wheat flour, niacin, iron, thiamine mononitrate, riboflavin, folic acid), *pure cane sugar, *dried cranberries (*cranberries, *sugar, *sunflower oil). *black quinoa, *cashews, *Extra Virgin Olive Oil, sodium bicarbonate, Himalayan pink salt, natural flavor. *organic. 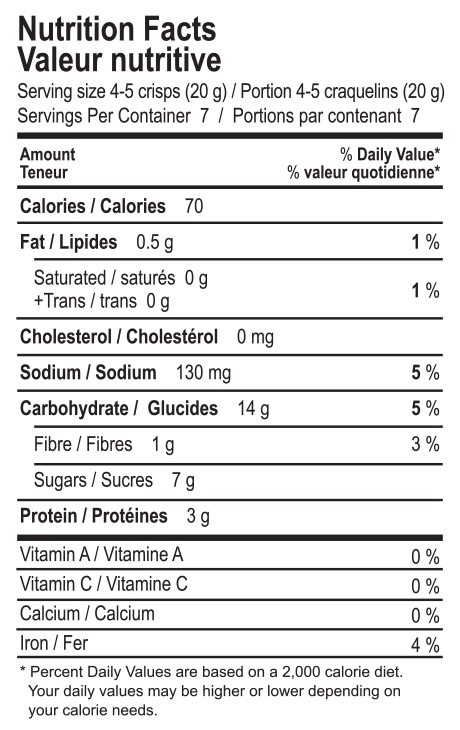 Manufactured in a facility that contains tree nuts, wheat / gluten, dairy, sesame, soy and sulphites.